Ping Wang, MD, is chief scientific officer at the Feinstein Institutes for Medical Research and vice chairman for research in the department of surgery at North Shore University Hospital and Long Island Jewish Medical Center. He is also professor of surgery and molecular medicine at the Donald and Barbara Zucker School of Medicine at Hofstra/Northwell and professor and head of the Center for Immunology and Inflammation in The Feinstein Institutes for Medical Research. In 2002, Dr. Wang became professor of surgery at Albert Einstein College of Medicine and chief of the division of surgical research at North Shore University Hospital and Long Island Jewish Medical Center. Prior to joining the department of surgery at North Shore University Hospital and Long Island Jewish Medical Center, Dr. Wang held positions of associate professor in the department of surgery at Brown University School of Medicine and professor of surgery (with tenure), professor of pathology, physiology and biophysics at University of Alabama at Birmingham (UAB). 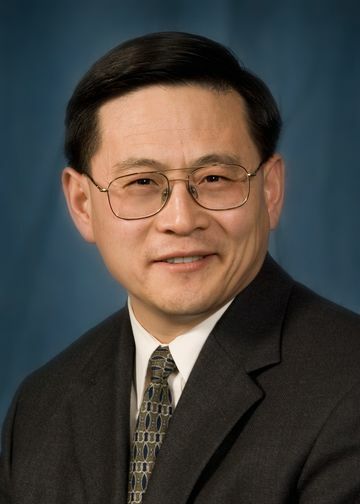 Dr. Wang is a member of various societies, including Shock Society, American Physiological Society, Society of Critical Care Medicine, Surgical Infection Society, Society for Leukocyte Biology, Association for Academic Surgery, American Heart Association, American Association for the Advancement of Science and NY Academy of Science. Dr. Wang was the president-elect 2015-2016 of the Shock Society and is the President in 2016-2017. He also served as the program chair of the Shock Society in 2013. Dr. Wang currently serves as the editorial board member for: Shock, Int J Mol Med, Digestive Surgery, Frontiers of Medicine, International Journal of Clinical and Experimental Pathology, Experimental and Therapeutic Medicine, American Journal of Translational Research, Hepatic Medicine, and International Journal of Burns and Trauma. He served as guest reviewer for: Am J Physiol, Am J Respir Crit Care Med, Arch Surg, Atherosclerosis, Biochim Biophys Acta, Cardiovasc Res, Crit Care Med, Free Radical Bio Med, Horm Metab Res, J Surg Res, Mol Cell Biochem, Nat Protoc, Hypertension, Peptides, Surg Infec, Life Sciences, J Hepatol, Physiol Genomics, Exp Biol Med, Front Biosci, J Leukoc Biol, J Endocrinol, Infect Immun, J Immunol, Infect Immun, J Pharmacol Exp Ther, Nat Protoc. Reviewer for: US Army Hemorrhage Control Research Program Review. He has been a member of various NIH Study Sections and VA Surgery Study Section. Dr. Wang is also a co-founder of TheraSource LLC, biotech company founded in 2004. Dr. Wang and colleagues have published more than 350 articles in peer-reviewed journals. He is also the editor of a book “MFG-E8 and Inflammation” published by Springer. Dr. Wang and his colleagues’ recent identification that cold-inducible RNA-binding protein (CIRP) as a novel endogenous proinflammatory molecule was published in Nature Medicine in 2013. In 1995, Dr. Wang received the NIH FIRST Award and has continually been funded by the NIH. The Laboratory of Surgical Research was originated in 2002 at The Feinstein Institutes for Medical Research. Since then, the lab has grown extensively and currently has more than 20 team members ranging from PhD students to associate professor level faculty members. Dr. Wang recently was awarded the prestigious five-year Maximizing Investigators’ Research Award (MIRA) (R35) grant from the National Institutes of Health (NIH) which aims to fund established investigators and give them ability to change course in their investigations as their work leads them. Dr. Wang is a mentor for junior faculty, postdoctoral fellows and graduate students within his lab and for other individuals at The Feinstein Institutes for Medical Research, as well as other institutions. A number of the scientists and postdoctoral fellows from the lab received awards such as the New Investigator Award and Travel Awards from Shock Society, and Annual Scientific Award from the Society of Critical Care Medicine. Sepsis often occurs in many critical illnesses and is defined as a systemic inflammatory response associated with a proven or suspected infection. Despite advances in the management of sepsis, a large number of patients die of the ensuing septic shock and multiple organ failure as well as circulatory collapse due to blood loss with progressive cell and organ damage. Dr. Wang Lab’s long-term goal is to develop better therapies to prevent progression of organ injury and septic shock. Currently, several potential drug candidates are already at the preclinical stage to further develop them as therapeutic agents for treating sepsis and other organ injuries including hemorrhagic shock, ischemia and reperfusion injury, focal cerebral ischemia (stroke), and acute kidney injury (AKI). Recently Dr. Wang and his team have identified a novel inflammatory mediator, cold-inducible RNA-binding protein (CIRP) in animal models of hemorrhage and sepsis as well as in the blood of individuals admitted to the surgical intensive care unit with hemorrhagic shock. In rodents, blockade of CIRP using antisera to CIRP attenuated inflammatory cytokine release and mortality after hemorrhage and sepsis. The activity of extracellular CIRP is mediated through the Toll-like receptor 4 interactions and CIRP is confirmed as a damage associated molecular pattern molecule that promotes inflammation in shock and sepsis. The extracellular CIRP also causes endothelial dysfunction and cell death causing lung injury during shock and sepsis. Studies are ongoing to examine additional functions of CIRP in injury-related inflammation. Dr. Wang and his colleagues generated several peptides from the CIRP molecule and identified one such peptide, C23, as the inhibitory peptide of CIRP. Recent studies demonstrated the protective effect of C23 in hemorrhagic shock. Studies are underway to investigate the effect of C23 in various other injury models. After the discovery that CIRP is a novel mediator of shock and sepsis, they extended their studies to examine its role in brain-related injuries. The studies demonstrated that CIRP plays an important role in stroke-associated neuroinflammation and brain injury. They are also investigating the role of CIRP in alcohol-induced neurosuppression. Milk fat globule-EGF Factor 8 (MFG-E8) is a glycoprotein secreted by activated macrophages and immature dendritic cells to promote the engulfment of apoptotic cells by working as a bridging molecule between those cells and phagocytes. Dr. Wang and his colleagues have shown that MFG-E8 is downregulated in sepsis and that the administration of recombinant MFG-E8 during sepsis provided beneficial effects, including attenuating pro-inflammatory response, increasing apoptotic cell clearance, and improving survival in sepsis. MFG-E8 treatment reduces acute lung injury caused by an intestinal ischemia and reperfusion injury model. Studies are being done to establish the efficacy and optimal dosage of recombinant human MFG-E8 in an attempt to develop it as a therapy for sepsis and other organ injury conditions. In addition, a peptide derived from MFG-E8 has shown to be protective in sepsis and preclinical studies are now ongoing to determine the efficacy of this peptide. Currently they are conducting preclinical studies to examine the efficacy of recombinant human MFG-E8 as a treatment for chronic inflammatory diseases. Recently, Dr. Wang and his team established an experimental model of neonatal sepsis and demonstrated the protective role of MFG-E8 in neonatal sepsis. They are currently conducting studies to investigate the mechanism involving systemic inflammatory response syndrome in neonates as well as identifying novel treatment strategies for neonatal sepsis. Ghrelin, a stomach derived peptide, is reduced in sepsis and other organ injury conditions. The downregulation of ghrelin activates sympathostimulatory nuclei in the brain, increasing norepinephrine release from the sympathetic nerve fibers in the gut, resulting in upregulation of proinflammatory cytokines and subsequent injuries to the liver and other organs (the brain-gut-liver axis paradigm). He has also shown that treatment with ghrelin downregulates organ injury in renal ischemia-reperfusion injury, radiation combined injury, and focal cerebral ischemia. Dr. Wang’s results showed that ghrelin acts via the vagus nerve to downregulate proinflammatory responses in these injury conditions. Preclinical studies are ongoing to develop ghrelin as a radiation mitigator for patients suffering from nuclear disaster related complications. Aziz M, Jacob A, Yang W-L, Matsuda A, Wang P: “Current trends in inflammatory and immunomodulatory mediators in sepsis.” J Leukoc Biol 93:329-342, 2013. Matsuda A, Yang W-L, Jacob A, Aziz M, Matsuo S, Matstani T, Uchida E, Wang P: “FK866, a visfatin inhibitor, protects against acute lung injury after intestinal ischemia-reperfusion in mice via NF-kB pathway.” Ann Surg 259: 1007-1017, 2014. Aziz M, Yang W-L, Matsuo S, Sharma A, Zhou M, Wang P: “Upregulation of GRAIL is associated with impaired CD4 T-cell proliferation in sepsis.” J Immunol 192:2305-2314, 2014. Zhou M, Yang W-L, Ji Y, Qiang X, Wang P: “Cold-inducible RNA-binding protein mediates neuroinflammation in cerebral ischemia.” Biochim Biophys Acta 1840:2253-2261, 2014. Khader A, Yang W-L, Kuncewitch M, Jacob A, Prince JM, Asirvatham JR, Nicastro J, Coppa GF, Wang P: “Sirtuin 1 activation stimulates mitochondrial biogenesis and attenuates renal injury after ischemia-reperfusion.” Transplantation 98:148-156, 2014. Wang P (Editor): “MFG-E8 and Inflammation”, Springer, 2014 (198 pages). Aziz M, Jacob A, Wang P: “Revisiting caspases in sepsis.” Cell Death & Disease 5:e1526, 2014 (12 pages). Khan MM, Yang W-L, Wang P: “Endoplasmic reticulum stress in sepsis.” Shock 44:294-304, 2015. Cheyuo C, Aziz M, Yang W-L, Jacob A, Zhou M, Wang P: “Milk fat globule-EGF factor VIII attenuates CNS injury by promoting neural stem cell proliferation and migration after cerebral ischemia.” PLoS One 10:e0122833, 2015 (17 pages). Zhang Y, Brenner M, Yang WL, Wang P: “Recombinant human MFG-E8 ameliorates colonic damage in DSS- and TNBS-induced colitis in mice.” Lab Invest 95:480-490, 2015. Sharma A, Yang W-L, Matsuo S, Wang P: “Differential alterations of tissue T-cell subsets after sepsis.” Immunol Lett 168:41-50, 2015. Khader A, Yang WL, Godwin A, Prince JM, Nicastro JM, Coppa GF, Wang P: “Sirtuin 1 Stimulation Attenuates Ischemic Liver Injury and Enhances Mitochondrial Recovery and Autophagy”. Crit Care Med. 44:e651-63, 2016. Hirano Y, Aziz M, Yang WL, Ochani M, Wang P: “Neutralization of Osteopontin Ameliorates Acute Lung Injury Induced by Intestinal Ischemia-Reperfusion”. Shock 46: 431-438, 2016. Yang WL, Ma G, Zhou M, Aziz M, Yen HT, Mavropoulos S, Ojamaa K, Wang P: “Combined Administration of Human Ghrelin and Human Growth Hormone Attenuates Organ Injury and Improves Survival in Aged Septic Rats”. Mol Med. 22:124-135, 2016.